With a tuft of gray hair, this 1860 portrait reveals Douglass as a stately leader. 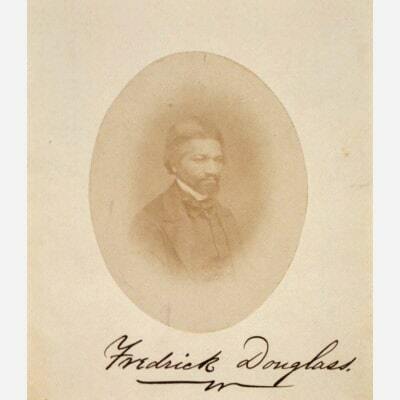 Impeccably dressed with styled and restrained facial hair, Douglass displays his position as one of the key figures in the African American community. Douglass gazes to the left of the camera, smiling just slightly while maintaining that well-known intensity.